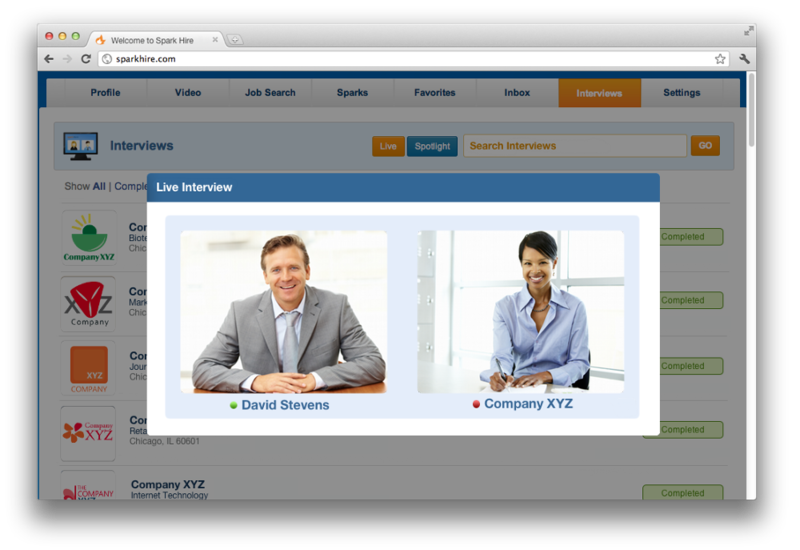 For a recruiter or hiring manager it is exciting to move into the new era of interviewing with video. However this is just the beginning, so you will want to assess your interviewing techniques to be able to avoid certain undesirable situations that are going to come up in video interviewing (no worries though, many are the same as what comes up in in-person interviews). There are so many “how to’s” on how to conduct standard video interviews properly, but what about video interview scenarios when the line of questioning could get uncomfortable for you, the interviewer? 1. Any Illegal questions. Stay away from these questions, as you always have. Asking these questions will only breed a sticky situation. In a world of increasing discrimination lawsuits you should try and make sure that everyone in charge of hiring in your company has the same approach to interviewing and your company should document all hiring decisions. This is because sometimes your words can be misconstrued into something you did not even intend. Steer clear of these types of questions to ensure your company is in the clear. And, to understand the concept from a job seeker’s perspective, check out our recent blog on the topic. 2. What is your Facebook account password? This is not an illegal question yet, but if you are asking your candidates for this during an interview, you may not be ready for the repercussions. Believe it or not, it has been asked frequently and recently, which has generated a lot of buzz. In my opinion, personal life for your candidates is personal, period. They should not feel obligated to provide personal passwords just so you, the interviewer, can get a glimpse into what they are doing during their own private time. You may also get some push back and later end up in court once people start filing privacy lawsuits against employers for doing such actions. If they do actually give you access to their account, they will have to trust that you are looking at things pertaining to the job at hand especially when they are not in the same room with you to actually see what you are reviewing on their account. Save the hassle and just steer clear of this and review only what is visible to the public on their social media profile. Check out our recent blog from the job seeker’s perspective on employers asking for Facebook passwords. 3. Why did you leave your last job? This can be a sensitive subject, especially if they departed under less-than-ideal circumstances, but asking this can give you some signals from the candidate that it did not go well. If you feel that they are keeping something from you, however, give the candidate a chance to explain the situation because they may have learned from the experience and are ready to take the next step in their career path. Just as you would in person, see how they decide to steer the conversation because it could be very telling of their personality and if they are able to handle tough stressful situations. It’s important to note that if you call a former manager and get a poor reference, that manager needs to be able to back it up with documentation or they could be in legal trouble, but if they documented the termination or certain issues, then you can assess the situation from the employers point of view as well. The important thing with all interview questions is to get a feel for who your candidate is by assessing how they handle their self. If they can keep it positive, then they will likely be a positive asset to your team, but if you get a bad feeling, follow your gut and think twice. There are many ways to assess a candidate without getting into the grey areas where your questions may become unethical or illegal and still be able to learn a lot about them. Have you ever conducted an interview where you were accused of asking illegal or very uncomfortable questions? How did you handle it? Do you think these type of tricky questions would be easier to handle via video interviews or in-person?